There is no shortage of amazing Southeast Asia holiday homes for sale. And you’ve come to the right place if you’re looking for one. 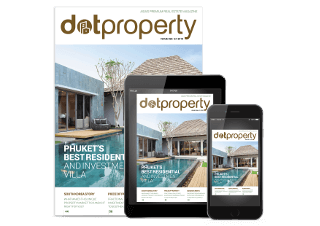 From the sandy shorts of Phuket to the always popular (and soon to be open again) Boracay, the Dot Property network of websites boasts the region’s best selection of holiday homes. With high season just around the corner, now is the perfect time to pick up your dream residence. Here are a few spectacular Southeast Asia holiday homes you can find on Dot Property right now. Investments don’t have to be the boring, at least not in Thailand. 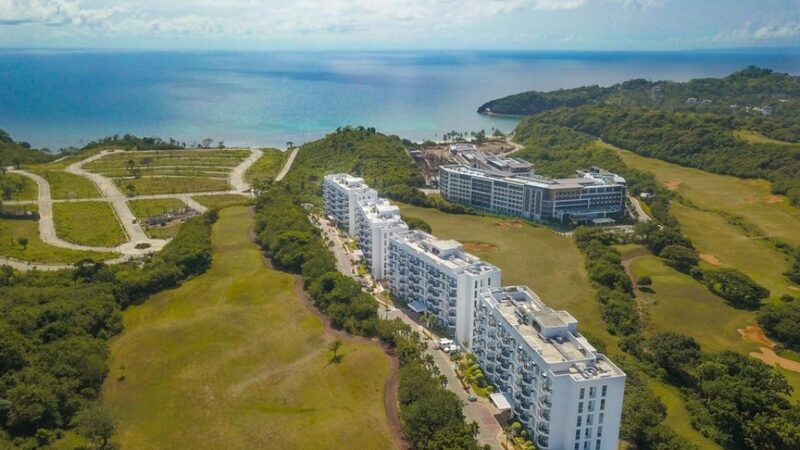 Here you can find Southeast Asia holiday homes that double as investment generating properties such as Breeze Park Condotel in Phuket. 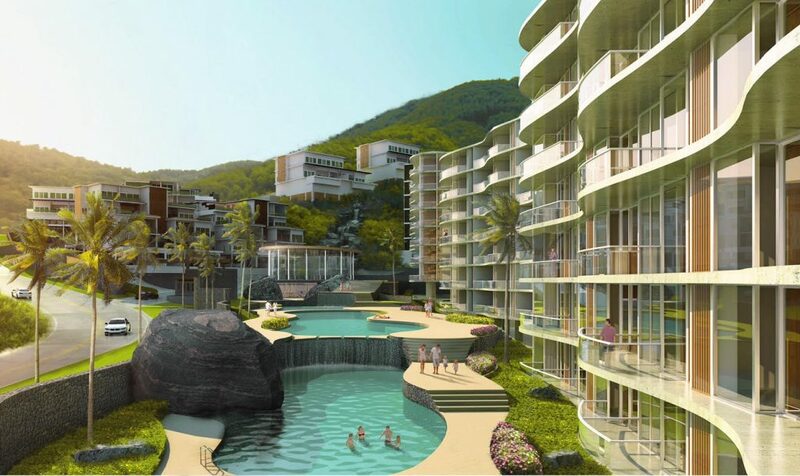 Situated in Kamala Falls near Kamala Beach, this affordable development is ideal if you’re looking for a holiday property that has a guaranteed return on investment. And that is simply half the story. Unit owners are also entitled to 30 days of usage during low season or 15 days during the peak season. The project boasts impressive amenities such as a sky garden and the low unit density ensures things never feel too crowded. VinPearl Golf Land Resort and Villas is located along the picturesque Nha Trang Bay in Southeast Vietnam. For USD 750,000, you can score a villa that will become your personal paradise. The modern resort has numerous features including an 18-hole golf course that makes it ideal for those who enjoy hitting the links. Villa owners can also enjoy a guaranteed investment return of eight percent annually for 10 years. And the perks don’t end there. 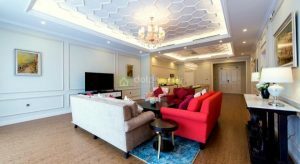 If you buy a villa here, you can also stay in VinPearl villages in Da Nang and Phu Quoc Island for free. Bali is home to countless Southeast Asia holiday homes. The Double View Mansions Bali is one of the region’s newest developments. The project offers a luxurious experience towards the north of Kuta Beach. This happens to be among Bali’s more subdued locations. 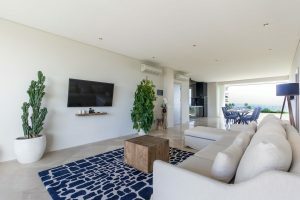 Unlike some of the more crowded places on the island, this enclave isn’t totally developed and provides a level of peace and quiet you may not be afforded elsewhere. When you’re here on holiday, you will be able to enjoy the best this tropical paradise has to offer. And when you are away, it’s possible to bring in a high return on investment. That’s because The Double View Mansions Bali has a government-approved hotel license. This means the in-house management company will rent out the property during those times you can’t use it. Boracay is set to reopen in October and this may be the ideal opportunity to buy a holiday home here. That’s because developers are eager to make sales now in order to make up for lost time. The Chancellor Hotel from Global-Estate Resorts, Inc. offers investors with the ideal Boracay real estate opportunity. The project will be operated and decorated as a hotel. In short, this ensures unit owners are entitled to a share in net room revenue whether their unit was actually rented or not. For owners, this guarantees a worry free investment. The operator of the Chancellor Hotel manages the leasing of the hotel rooms along with all maintenance, refurbishments and improvements. And, of course, as an owner, you will be entitled to a set number of days to stay here each year. 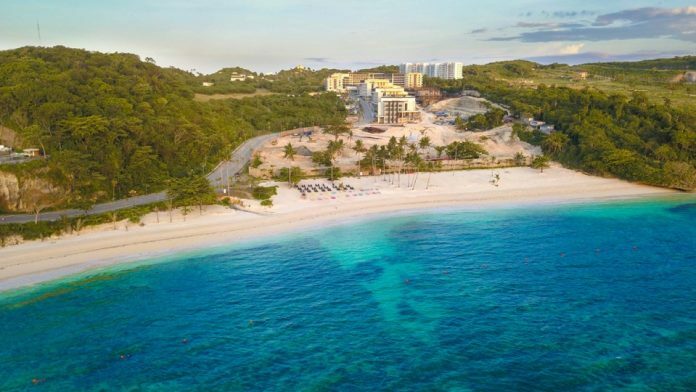 Chancellor Hotel is part of the Boracay Newcoast Integrated Tourism Development that occupies 15 percent of the island. The project spans 150 hectares and boasts an 18-hole championship golf course, several residential communities, hotels and leisure centres. Of course, all this fun may make it difficult for you to leave once your holiday is over. 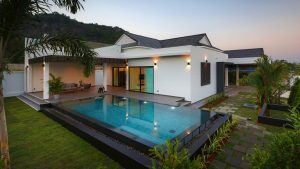 Sivana HideAway Pool Villas was named as the Best Luxury Villa Development Hua Hin at the Dot Property Thailand Awards 2018. After one look at the project, it is easy to see why. The spacious development has only 22 total villas built on large plots to ensure residents never feel cramped. The developer also strives to create a place that feels like home by creating a community. Each villa is equipped with a large, open-island kitchen with premium brand built-in appliances pre-installed. Meanwhile, only high-quality materials have been used throughout each residence ensuring you get only the best. If you’re looking for a private retreat in Hua Hin, Sivana HideAway is the place. Want to see more Southeast Asia holiday homes? 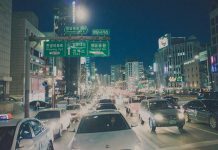 Start your search on Dot Property!